CAROLINE V. CLARKE is Editor-at-Large at Black Enterprise magazine and Editorial Director of Black Enterprise books. 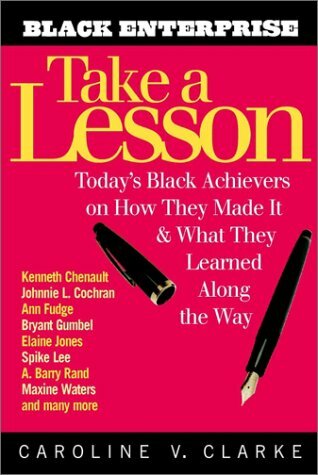 She has been an editor at BE since 1992 and worked with BE founder Earl Graves on his book, How to Succeed in Business Without Being White. Ms. Clarke is a graduate of the Columbia University Graduate School of Journalism and has a bachelor's degree from Smith College. You're only going to be here for a minute; make that minute count! My outlook has always been, if it's doable, then why can't I do it?